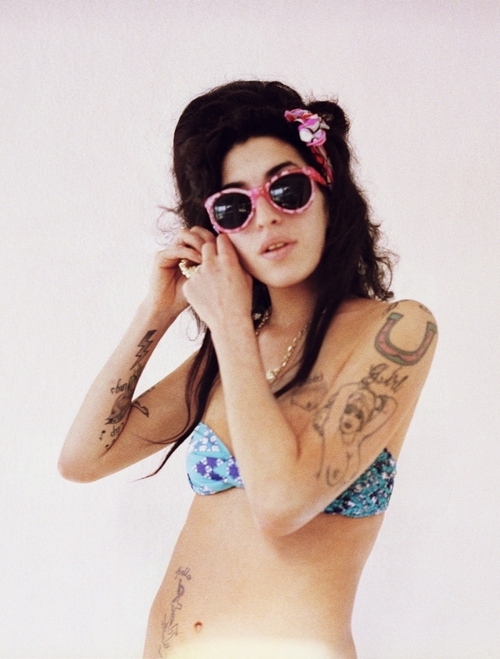 Amy Winehouse September 14th 1983-July 23rd 2011. 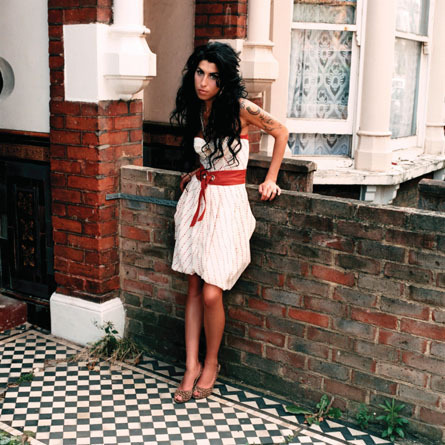 Interviewing Amy Winehouse in the spring of 2008 was an honour, a delight and a task akin to herding cats. 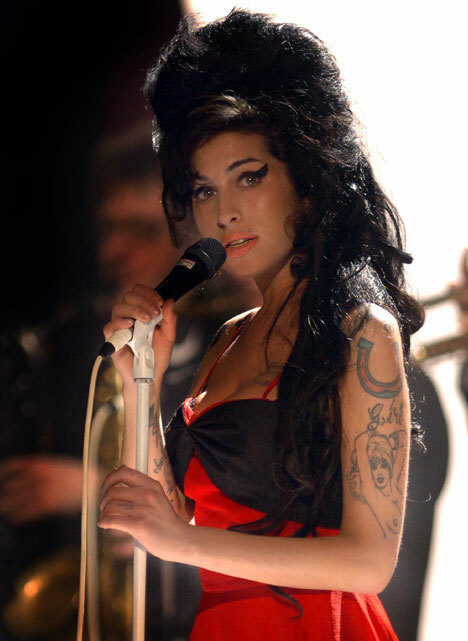 At the time, Amy was possibly the most famous woman in the world, as much for her terrifying public meltdowns as for the awe- inspiring talent showcased on the incredible back to black album. Across the Atlantic her sister in distress Britney Spears was transfixing the Los Angeles paparazzi with her very own tale of addiction, distress and disarray- and as the stories unfolded day to day, it seemed just a matter of time until one of these beautiful pop icons wound up dead. While there was never a morning when an Amy story wasn’t in the news, the Rehab star didn’t give interviews and as it turned out , OK!’s chat was the only one that year. Invited down to Amy’s Camden stamping ground to talk about the god daughter she adored, Dionne Bromfield, after six hours of partying, pool playing and punch ups, she finally returned from the bar clutching a pair of Banana Daiquiris , and beckoned us to the ladies loo, where I conducted one of the most bizarre interview of my career. After discussing Dionne, what Amy really wanted to talk about was her husband Blake Fielder-Civil , the husband, the fellow drug addict who was locked up in prison, and who she still is still said to love. Her words are even more sad and poignant now, than they were then, as this woman’s whose life had become a byword for chaos, talked about how she yearned for ordinary, quiet life, cooking and cleaning for her man and imaginary brood of five kids. A strange thing happens when Amy Winehouse totters through the doors of unglamorous boozer the Dublin Castle, one late Saturday afternoon. Within about five minutes of her arrival, a three quarters empty pub has filled to the rafters with Camden trendies, sporting jaunty hats, skinny jeans and artfully unkempt hair. Amy’s friends groan quietly and look on nervously as the various ‘promoters’, fashion types and celebrity offspring vie for the star’s attention. Amy is meant to be under strict supervision. I’ve been told I can’t give her flowers in case anything dodgy is hidden inside and Amy has even had her mobile phone confiscated . The trouble is once she leaves the house and the watchful eye of dad Mitch, all bets are off. Everyone, it seems, wants a post- pub invite back to Amy’s place. Some apparently arrive and stay for days on end. Her genuine friends worry about the influence of the ‘hangers-on’- but there’s little they can do. The plan is to get Amy out of the Dublin Castle and away from the swelling melee as quickly as possible. As she waits near the bar for her jukebox tracks (1960s classics, naturally) to air. I see her beehive arc sideways at 90s degrees. There has been a mild kerfuffle. Amy returns to the table fits clenched and jaw tight. A random punter has grabbed her bottom, she says, and Amy retaliates by giving the punter a swift slap in the chops. The episode takes approximately ten seconds to unfold yet makes the front pages of the following Monday’s tabloid’s, where its reported that Amy ‘went wild’ and launched a ‘unprovoked attack’ on an innocent man. She ‘looked out of it’, claims the man. ‘It was as if she had voices in her head’. Since July 2010 and on going...... Simple theme. Powered by Blogger.